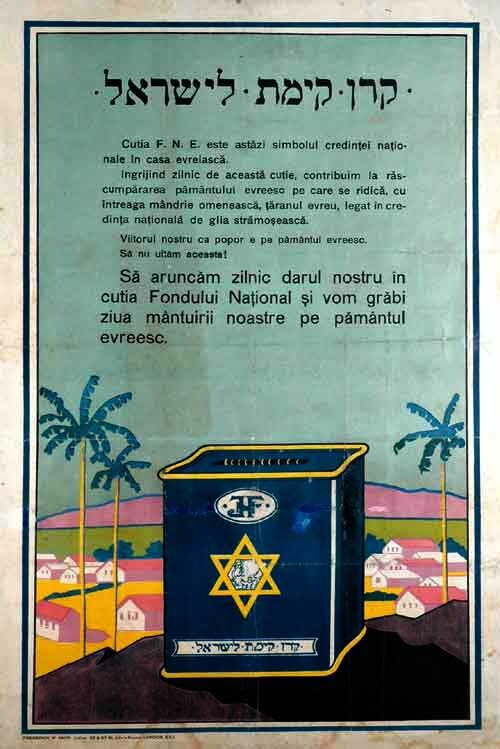 Romanian translation: Put something daily in our gift box and the National Fund will speed up the day of salvation on our Jewish soil. Secondly, a covenant was agreed between the Israeli government and the JNF providing that the latter would be given nearly 50% representation on the Israel Lands Council (ILC). The ILC was established by the Israel Lands Administration Law, 1960, and given broad powers to make policies in relation to “Israel Lands.” That law also established the Israel Lands Administration (ILA) to implement these policies. According to a report of the Israeli state comptroller, participation of government representatives at ILC board meetings has been minimal compared to that of the JNF representatives. Hardly surprising, therefore, is the ILA’s discrimination against the Palestinian population in Israel.